Bamboo bikes turn around fortunes for working women in Ghana. 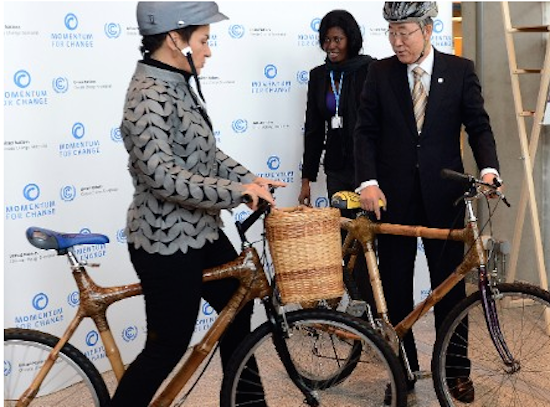 The Bamboo Bike Project aims to examine the feasibility of implementing cargo bikes made of bamboo as a sustainable form of transportation in areas of Africa where bamboo is commonly grown and where bicycle transportation is commonly used. Ghana Bamboo Bikes is getting a lot of interest from the United Kingdom where people are using them for touring.